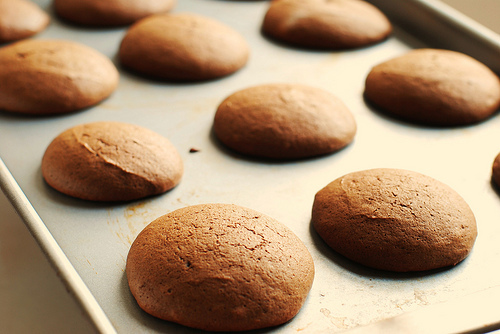 If you want the nice, uniform round whoopies, piping the batter is necessary here. If you aren’t so concerned with the appearance, a dough scoop works just fine. *This will make more filling/frosting than you actually need for this recipe (about 1 cup extra). You could reduce to 2/3 or simply save for another use. 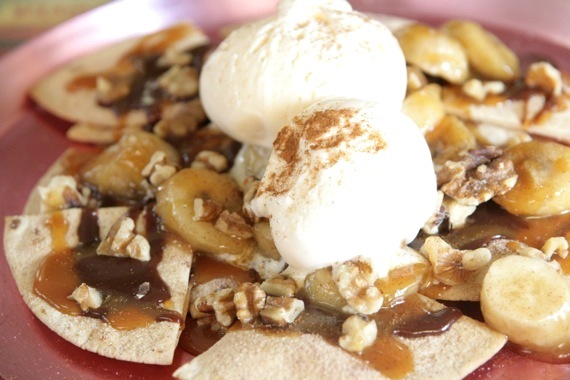 To make the caramel sauce, spread the sugar out in an even layer in a medium skillet or saucepan over medium heat. Once the sugar starts to liquefy around the edges, stir it gently with a spatula towards the center. Continue stirring gently until all of the sugar is melted and no hard bits remain. Off the heat, carefully whisk in half of the coconut cream. The mixture will bubble and steam violently. 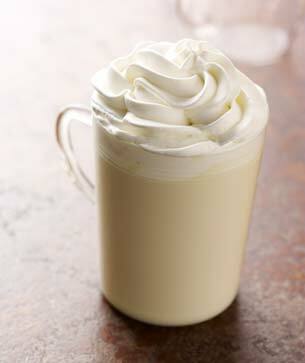 Stir until the coconut cream is thoroughly combined, then whisk in the remaining coconut cream. 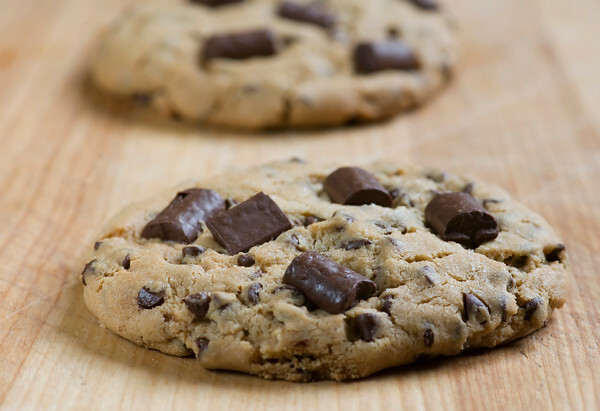 To make the cookies, preheat the oven to 350˚ F. Line baking sheets with parchment paper. In a medium bowl, combine the gluten free flour, baking soda, baking powder and salt; whisk to blend, and set aside. In a small bowl, combine the mashed banana and sour cream. In the bowl of an electric mixer, beat the vegan butter and sugars on medium high speed until light and fluffy, about 3 minutes. Blend in the egg and vanilla. With the mixer on low speed, add in the dry ingredients in three additions alternating with the banana mixture, beginning and ending with the dry ingredients. Mix each addition just until incorporated. Pipe the batter using a plain round tip onto the prepared baking sheets into 1¼-inch rounds, spacing a couple of inches apart. Bake until the cookies are just set and the bottom edges are starting to brown, about 10-12 minutes. Let cool on the baking sheets 5-10 minutes before transferring to a wire rack to cool completely. To make the filling, combine the egg whites and sugar in a large heatproof bowl set over a pot of simmering water. Heat the mixture, whisking very frequently, until the sugar is completely dissolved and reaches 160° F on an instant read thermometer. Transfer the mixture to the clean, dry bowl of a stand mixer fitted with the whisk attachment. Beat on medium-high speed until the mixture holds stiff peaks. Reduce the speed to medium low, add in the salt and begin adding the vegan butter one piece at a time, beating well after each addition. Stir in ½ cup of the cooled caramel sauce until well blended. Once the cookies are completely cooled, match them up in pairs by size. Fill a pastry bag fitted with a plain tip with the caramel filling. Pipe a dollop of filling onto the flat side of one cookie of each pair, and sandwich the cookies together, pushing the filling to the edges. Store in an airtight container. I am quite fond of caramel. 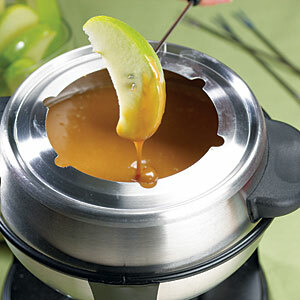 So caramel fondue is right up my ally. Fondue is a fun and easy way to have a dessert! So many dipping options, the dessert possibilities are really endless! 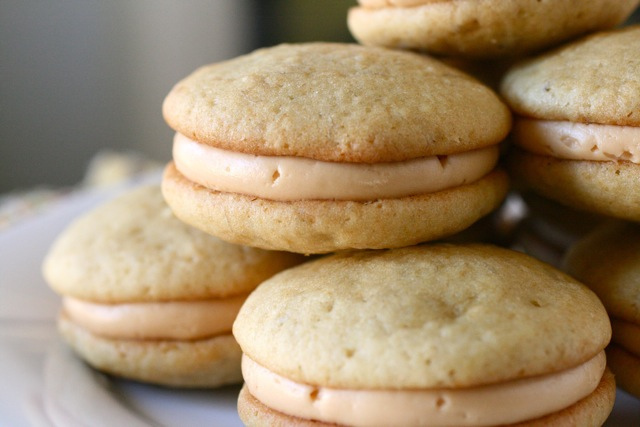 Rich, creamy caramel tastes delicious with just about anything! Sweet and luscious, you won’t be able to resist dipping in your favorites! Dippers: apple slices (Fuji apples are the BEST! ), banana, 1-inch cubes of gluten free pound cake (recipe coming soon! ), large marshmallows, whole strawberries, gluten free graham crackers or your favorite dipper! In a heavy, medium saucepan, combine the sugar and water over medium-low heat. Stir until the sugar is dissolved. Increase the heat to medium-high and boil, swirling the pan occasionally without stirring, until the caramel sauce turns a deep amber color, about 7 minutes. As the mixture boils, wipe down sides of pan frequently with a wet pastry brush to prevent the crystallization of the sugar. Remove the sauce from the heat and stir in the rice milk with a long-handled spoon, carefully avoiding the splatters as it bubbles up. Add the buttery spread, reduce the heat to low and return the pan to the heat, stirring until the buttery spread melts and the caramel is smooth. Stir in the vanilla and the salt. Place the mixture in a fondue pot. Arrange your dippers on a platter and make sure you have enough forts or bamboo skewers for your guests to dunk their favorites in the warm caramel. Now if the caramel starts to firm up, add a tablespoon of corn syrup and transfer it from the fondue pot to a microwave-safe bowl and reheat it in the microwave. Return to the fondue pot and continue to dip away!